CINCINNATI — The Midwest Province of the Society of Jesus released its report Monday naming every priest who has faced “established accusations” of sexual abuse since 1955. 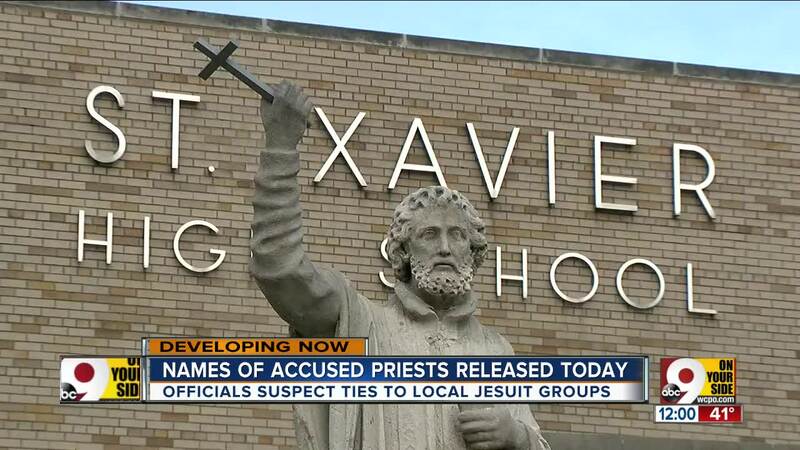 The report was released to Jesuit institutions, including St. Xavier High School and Xavier University . Several priests who worked in the Cincinnati area were named in the report. The list is organized into three sections; names of Jesuits accused of sexual abuse while they were living or had multiple allegations against them after their death, names of Jesuits with one allegation against them after their death and names of Jesuits whose names have been published on a diocesan website, civil lawsuit or named in a grand jury report. Additionally, many of the men listed are no longer alive and don’t have the opportunity to respond for themselves. Fr. James A. Condon, S.J. — Missioned at St. Xavier High School in 1965 (alleged victim was not a St. Xavier High School student). He died in 1993. Fr. Robert J. Erpenbeck, S.J. — Missioned at Jesuit Novitiate in Milford in 1961 and the Milford Retreat Center in 1964. He died in 1986. Fr. Mark A. Finan, S.J. — Missioned at St. Xavier High School from 1964-1965. Fr. Edward J. O'Brien, S.J. — Missioned at Xavier University in 1958, and from 1971-1982. He died in 1983. Fr. Donald O. Nastold, S.J. — Missioned at St. Francis Xavier Church from 1999-2000. He died in 2007. CLICK HERE to view the list in its entirety. 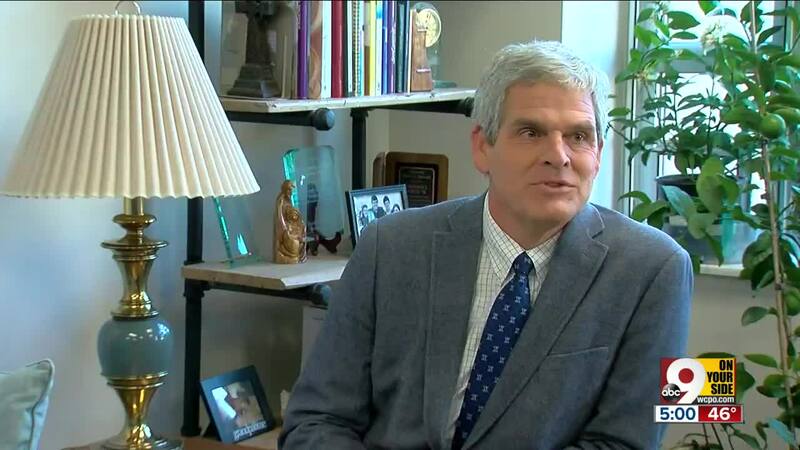 St. Xavier High School President Tim Reilly said the Province is working directly with victims, and the school has sent out resources to parents to help them speak to their children, in case any of them are ever targeted for abuse or are already victims. He said he hopes the release of the list will continue the healing process for victims. "We only know what we know. Clearly, we don't know what we don't know, and it's really one of the reasons this is out there," Reilly said. "What if there are victims out there that needed some encouragement to come forward? You know, maybe this is the opportunity to come forward and get some help." "We are committed to a culture of safety and protection for the care of all members of our community, especially our precious children, who are among God’s greatest gifts. Our policy and practice for any accusation is to fully cooperate with law enforcement, the appropriate child protective agency, the U.S. Midwest Province and the Cincinnati Archdiocese in pursuing justice. St. Xavier High School would fully cooperate with the investigation and would also provide pastoral, ministerial care to the victim." 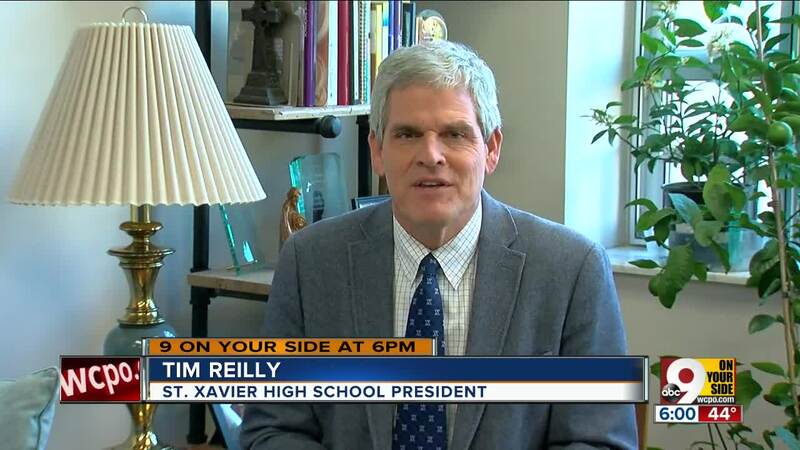 St. X officials asked that anyone who may be a victim to contact law enforcement, President Tim Reilly at treilly@stxavier.org or Principal Terry Tyrrell at ttyrrell@stxavier.org . Br. Jerome Pryor, S.J. — 1974-2002; Accused of sexual improprieties with students, but none involving minors. Pryor was placed in secure housing where he is under supervised care. Fr. Louis Bonacci, S.J. — 1994-1999; There are no allegations against Bonacci at the university. Bonacci is named by the Maryland Province as having established allegations of sexual misconduct with a minor. "I write to share this important information because I believe and pray it’s a critical step toward healing. Beginning last summer and continuing into the fall, all of us, Catholic or not, were shocked, outraged and deeply saddened by fresh revelations of clerical sexual abuse and of the equally scandalous actions of Church officials to conceal these always sinful and often criminal activities." Graham said victims who wish to report abuse or are in need of support can contact the Office of Safe Environment at the Province at 773-975-6363. The Cincinnati chapter of SNAP (Survivors Network of those Abused by Priests) also urged any other victims to report any abuse. "It's possible that a former student at St. X or other Jesuit based institution may see a name on the list and discover that they were not the only ones abused by that particular person - this can have a very profound impact on the survivor, and will hopefully help them find the courage to report their abuse to law enforcement," Daniel Frondorf of SNAP Cincinnati said in a written statement."